Renner Architects conceived, designed, built, and sold 160-high quality residential condominiums on this two-acre site at the end of the Milwaukee River in the Historic Third Ward in downtown Milwaukee. This project was designed to fit in with the historic turn of the century buildings in the surrounding neighborhood. The units are unquestionably the highest quality units in the marketplace and to date this project is the most successful and profitable condo development project in the area. 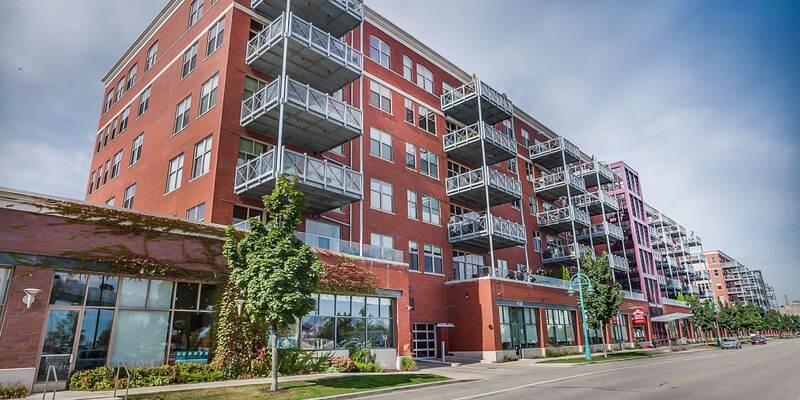 The units feature large exterior decks with glass rails and drainage systems, open floor plan kitchen and dining areas that respond to the way people live today, large living areas, heavy timber beamed ceilings, and high quality finishes throughout. The project has been designed and constructed so that acoustic separation is maximized by the use of poured in place concrete walls and heavy concrete floors separating the units.